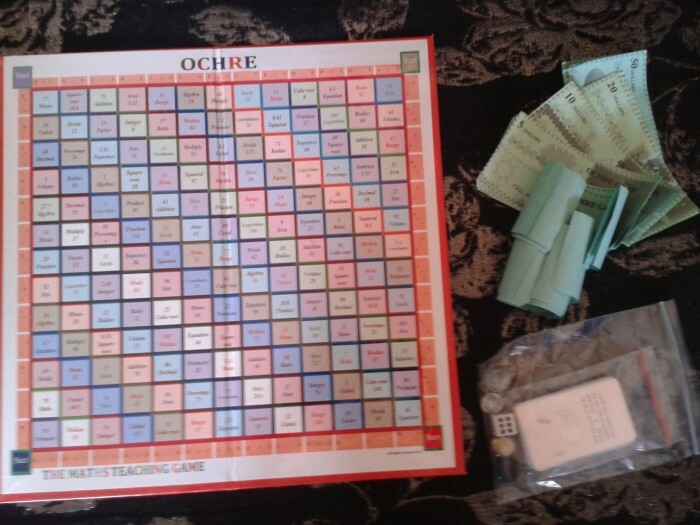 Mathematics Board game designed to help students to learn from one another and it can also be used for maths contests between different groups of students and maths clubs. the game has got all maths topics and so far it offer the best since you will never any other mathematics board game which covers all topics. not even in the current wave of computerised game will you find a maths game with all topics. as long as maths takes charge in this technological world this games relevance will never seize with only seven billion people. i want to sell this copyright because its not effective in the third world where i reside since we have tried to market although many teachers appreciate it however, when it comes to buying many schools are reluctant due to financial constraints. the game has great potential in the developed world since they are used to playing board game and have a good number of math clubs. it is a game every mathematician should be proud to have played and own it. the best way to market this game is to sell copies to schools, the more schools buy the game then the more individual pupils and students buy the game. this is so, because its better to teach the game through school grouping when students and pupils have a learning attitude that teach the game to individuals at home while on holiday. am selling this game cheaply, at only 300,000 US dollars this is worth only 20,000 copies of the game if you sold each copy at 15 US dollars. Page created at 2019-04-25 18:09:08, Patent Auction Time.